FULL WALL SLIDE, LOADED, LOW MILES! Full wall slide, body paint, low miles! This one is loaded! Exceptionally popular floor plan featuring a full wall slide that really increases the square footage! Huge booth dinette that converts to additional sleeping with opposing Galley with three burner stove, cooktop, and stainless steel appliances including residential refrigerator! Center living room featuring A loveseat recliner set overlooking a built-in Entertainment center! Center bathroom with glass door shower, toilet, sink with vanity, and medicine closet! Very spacious hall linen closet! Private rear master with east west king bed, Lots of built-in dressers hanging closet, And built in entertainment center! Front drop down magic queen bed for additional dedicated sleeping! This one’s perfect for a larger crowd! Point other features include hydraulic leveling system, Jensen JRV215N Camera stereo, full body paint, Onan 5.5 kW with 500 hours, full body paint, Alcoa aluminum 22.5 inch wheels, power awning, outdoor entertainment, outdoor kitchen with sink and refrigerator, slide to toppers, much more! Fantastic financing and extended warranty packages are available! Stunning coach at a great price! Inquire today! 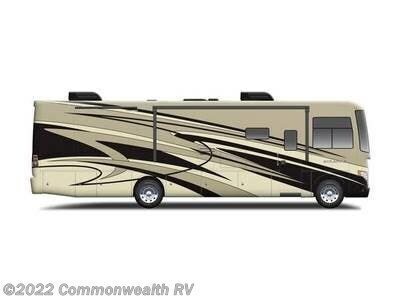 Check out Stock # RV-A05859 - 2014 Thor Motor Coach Miramar 34.2 on thorrvsource.com!